Rightmove is the UK’s largest online property portal. As well as attracting the largest audience of UK home hunters, the company is also the go-to expert for all those working in the UK property sales and lettings industry. One of our long-term clients, we provide ongoing support to maintain the rightmove.co.uk website and designed their Happy at Home Index survey in 2015 and 2016. 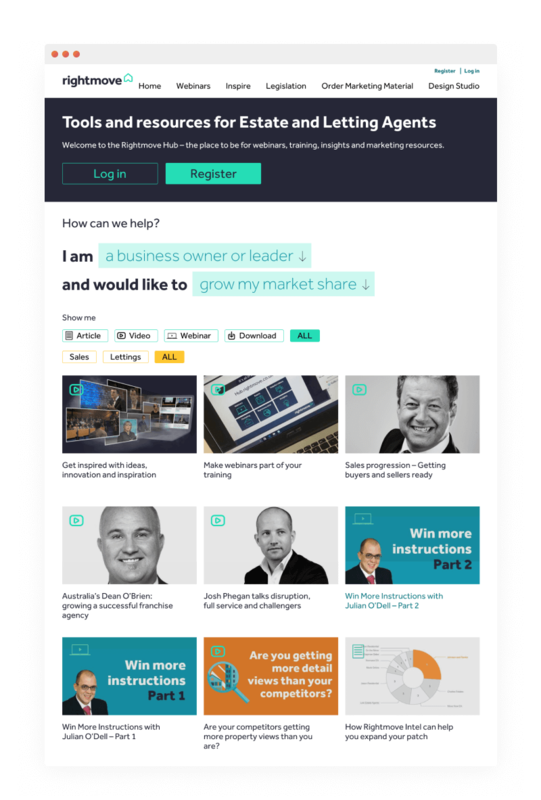 This latest project was to redesign Rightmove’s industry-facing online hub, which provides tools and resources – from market insights to webinar training – for estate and letting agents. When the Rightmove team first approached us with this project, their online hub, although full of fantastic resources for estate agents and business owners, was almost impossible to navigate. The hub website needed a complete redesign, with a focus on making it easy for visitors to quickly find the information they need, and more likely to return in future. To make sure that all audiences to the new website would be able to quickly access the tools and resources they need, we added filters to the homepage. These filters mean that rather than spend time searching through the site, people can immediately navigate to the content most relevant to them. 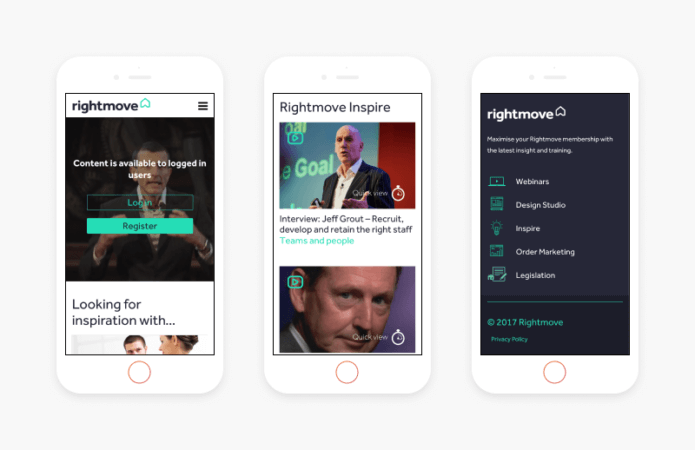 As well as making specific content more accessible, we also highlighted content relevant to all audiences with a brand new ‘Inspire’ page, which showcases Rightmove’s live events where the world’s most successful entrepreneurs, thought leaders and brands share their advice and inspiration. We also developed a membership area of the site, only accessible to those who register to join the Hub. This area includes additional members only content, such as further training resources and free webinars. Once in the membership area, we made it easy for people to sign up and access these webinars by creating a GoToWebinar plugin that allows users to sign up without navigating away from the Rightmove Hub website. 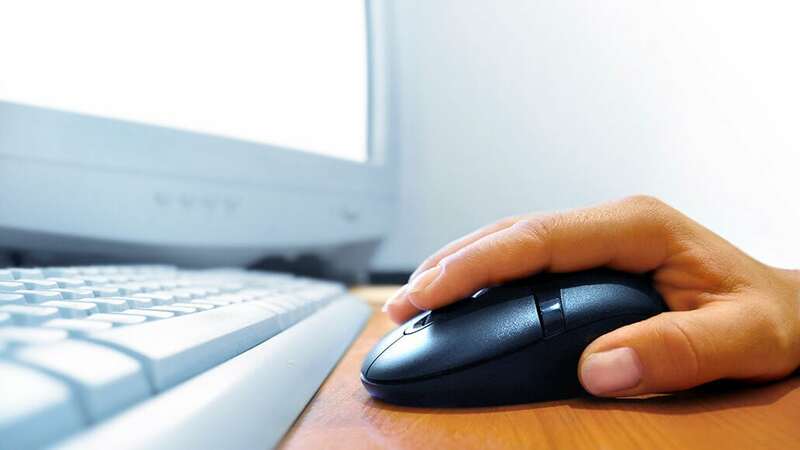 The new website much better highlights the range of content that Rightmove has to offer those in the industry, and more clearly demonstrates the value of signing up for even more fantastic free content. We love to talk to like minded people. Whether you want to discuss a project or just want to chat about design, tech and sustainability, we’d love to get to know you. We'll send you occasional thoughts and case studies on web sustainability and accessibility if you like. No spam, just good content.